The Bethune-Cookman football team stepped into Strawberry Stadium in Hammond, Louisiana with their hearts filled with the looming threat of Hurricane Irma bearing down on their loved ones back home in Florida. By night’s end, BCU weathered a different kind of storm overcoming 3 turnovers, a rash of penalties and a 4th quarter deficit to defeat Southeastern Louisiana 28-23. Larry Brihm’s 1 yard TD plunge with 6:04 remaining in the contest capped an 11 play, 72 yard scoring drive and secured the win for the good guys. Brihm finished the contest with 354 yards passing, 2 touchdowns through the air and 1 rushing TD. The Wildcats marched 78 yards on their opening drive and scored the game’s first points when WR Anthony Cruz caught an 11 yard TD pass from Brihm. SELA cut the lead to 7-3 courtesy of a Dillion Burkhard 32 yard field goal but the Wildcats answered with another long first quarter scoring drive; this on covering 88 yards in 9 plays and ending with a 4 yard Michael Jones TD run. 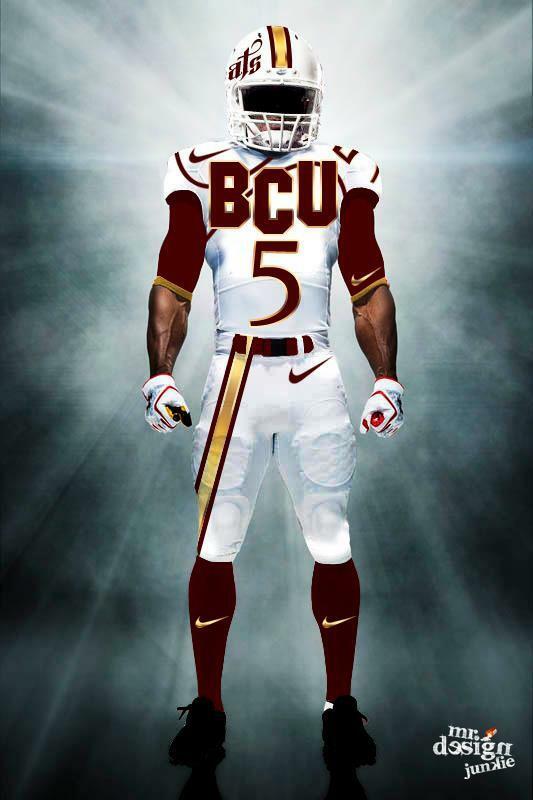 Unfortunately for BCU, they wouldn’t score again until trailing 16-14 in the 4th quarter. Untimely penalties and turnovers almost foiled BCU’s bid to defeat a quality out of conference foe on the road. A quick peek at the box score reveals the Wildcats loss 2 fumbles, threw 1 interception and were flagged 14 times for 132 yards. As good as Brihm performed with his arm, he was also responsible for all three of BCU’s turnovers. These types of miscues can be calamitous but the Brihm and the Wildcats were able to overcome them. The Beach Cats racked up 482 yards of total offense (354 passing, 128 rushing) while holding SELA to just 291 yards of total offense. Jawill Davis and Keavon Mitchell finished the afternoon with 138 and 125 yards receiving respectively. Michael Jones pitched in with 122 yards of offense (95 on the ground and 27 receiving). Davis also hauled in a 2 yard touchdown reception with 11:00 remaining in the 4th. 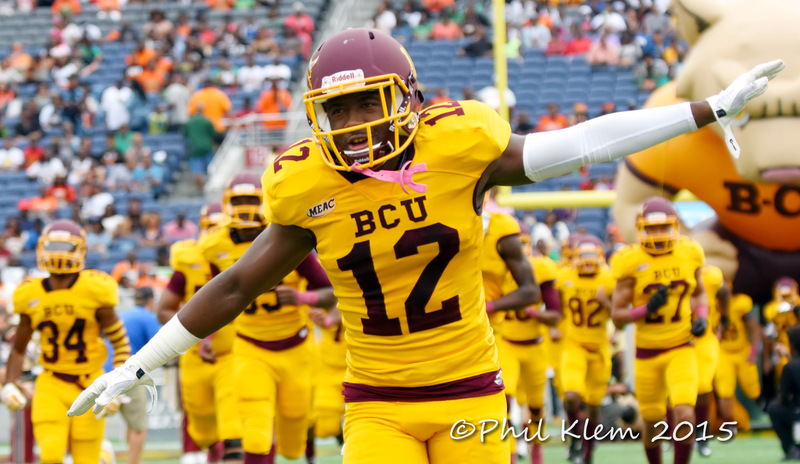 The TD grab resulted in BCU’s first points of the second half and pushed the Cats back ahead 21-16. The defense held SELA to under 100 yards passing but the biggest defensive sequence of the night came on the final stand in the game’s closing minutes. SELA, trailing 28-23, drove the ball to the BCU 47 yard line late in the 4th. The Wildcat D stopped SELA on downs with under 3 minutes remaining but a bogus defensive pass interference call gave the Lions new life and placed the ball at the BCU 35 yard line. Thankfully that was as far as the Lions would get as the Cats held and forced a turnover on downs, this time a legitimate stand. The offensive unit was able to run out the clock and secure Bethune’s first victory of the season. Bethune travel to South Florida next week to take on FAU. As always, HailWildcats will be there bringing you the sights and sounds.